The Top Liner pipe clamp quickly and accurately aligns heavy-wall & thin-wall pipe. This pipe alignment clamp reduces repair from having to weld bridges and dogs. On sizes 2″ thru 22″, we have two versions of the Top Liner pipe clamp to fit either Pipe-to-Pipe or Pipe-to-Elbow. Available in Carbon Steel, Aluminum, and Stainless Steel. Quickly and accurately aligns heavy-wall single tube & header. Acts as bridging on heavy-wall headers. Weld only where you are supposed to weld. Reduce repair from welding bridging and dogs. Custom sizes available upon request. Lead time will be required. 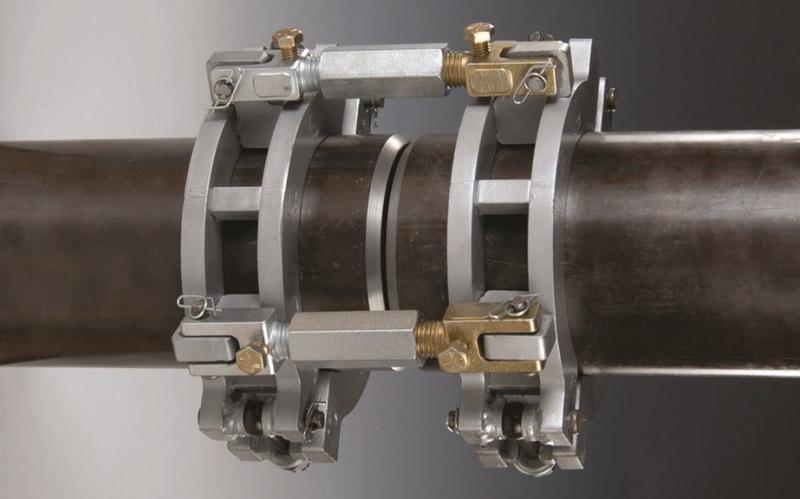 These pipe clamps quickly and accurately align heavy-wall & thin-wall pipe. Proper pipe alignment reduces repair from having to weld bridges and dogs.